 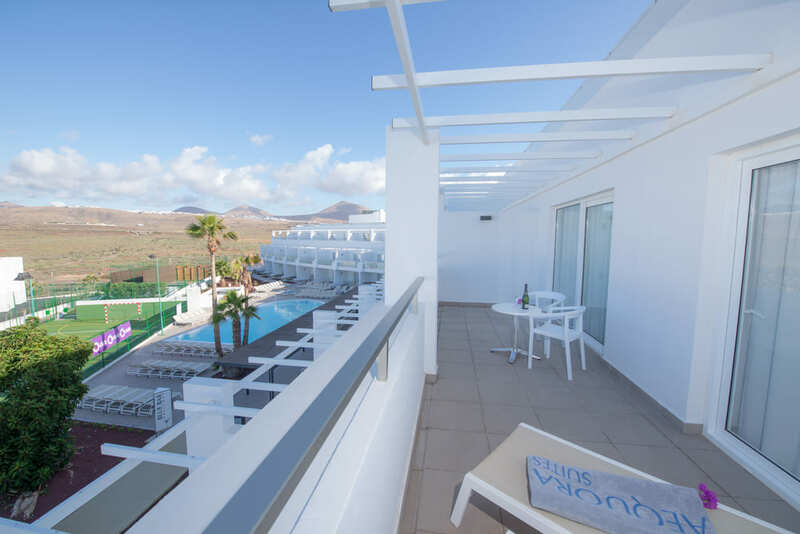 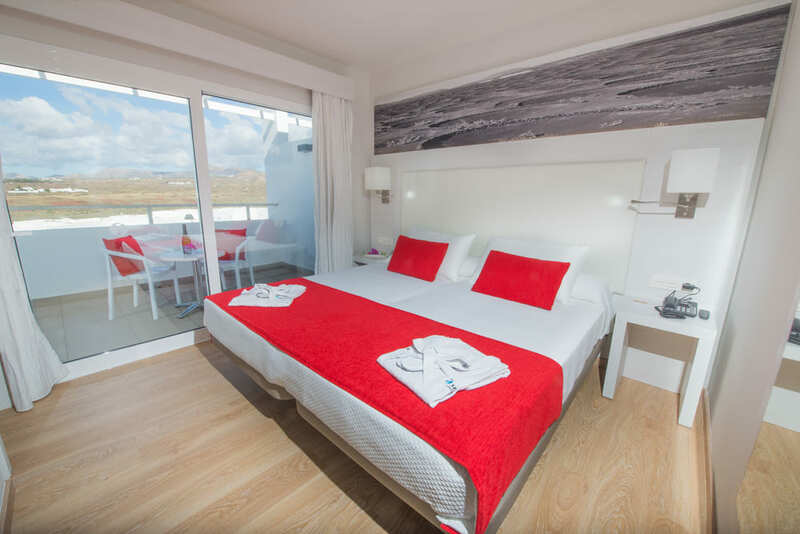 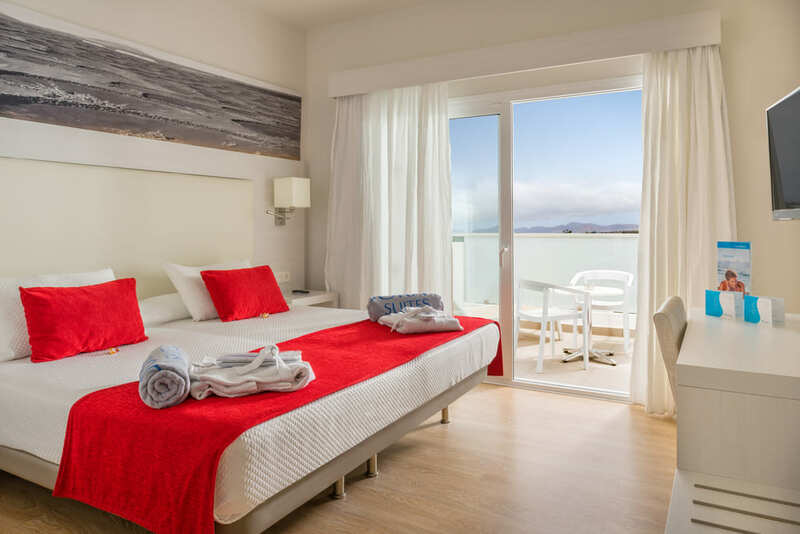 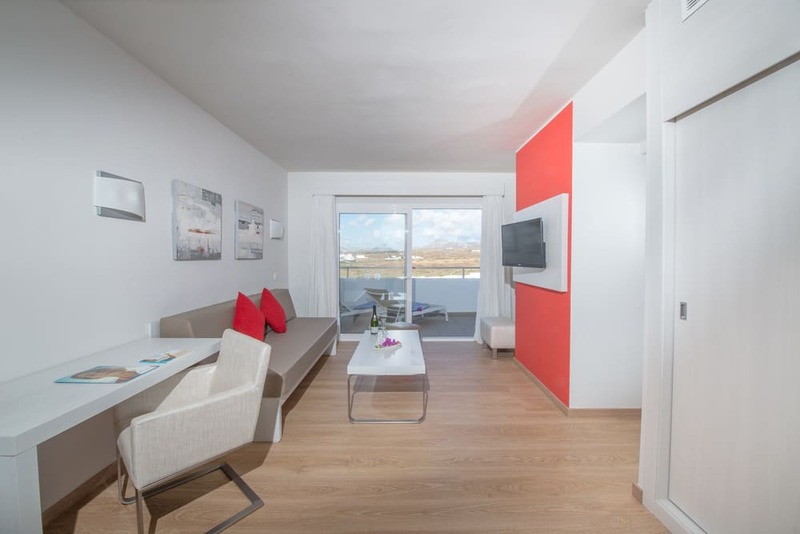 Superior Junior Suite | Aequora Lanzarote Suites, Official. 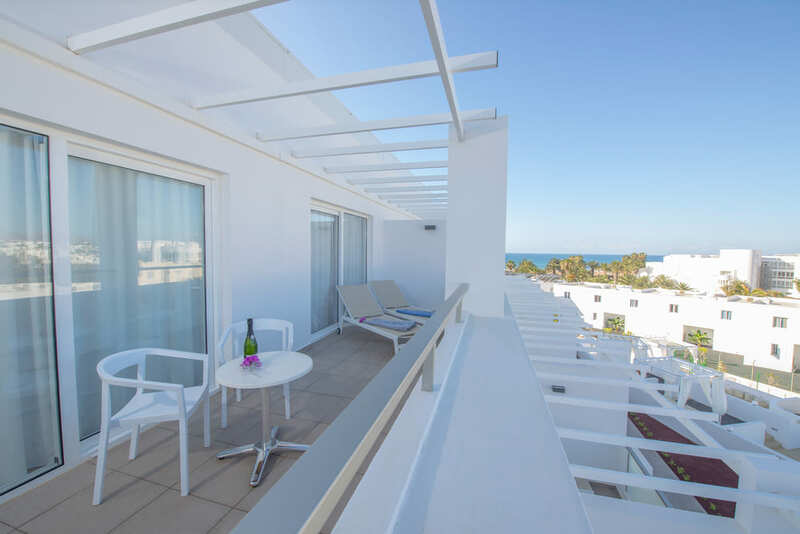 Junior Suite on the top floor in a quiet area with pool and lateral sea view. 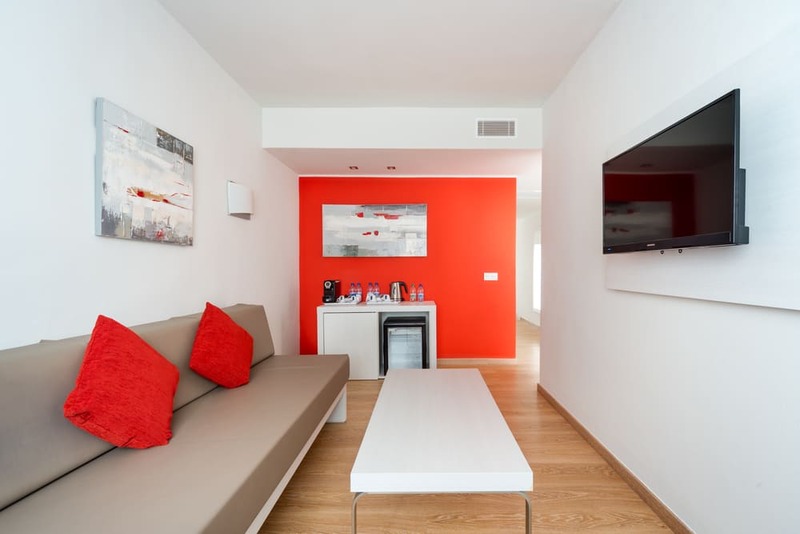 SAT-32”LED TV with USB port(one in the bedroom and another one in the living room, safety deposit box (with additional charge), air-conditioning, fully equipped bathroom (with shower, hairdryer and make-up mirror), telephone and minibar (charge according to consumption).